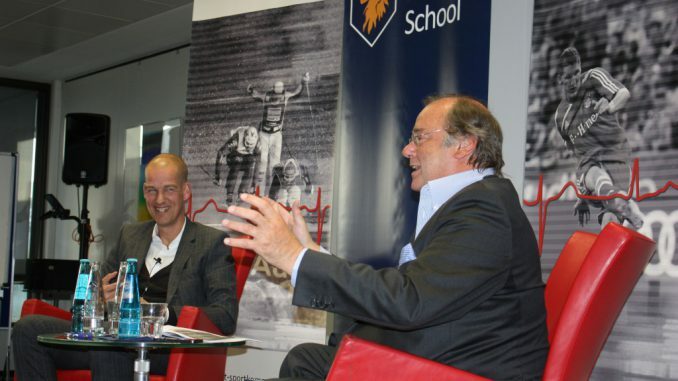 Brand triad, business development, brand extension – hearing such terms, we hardly thought about football. Basically, however, football clubs have become real enterprises today. They have to fight for titles on the field and for shares on the market. To ultimately succeed as business enterprises, football clubs must constantly come up with ever new concepts and strategies. Over the past years, German football heavyweight Borussia Dortmund has emerged as a strong brand. For the fans, however, the club is – in the first place – true love. How does that fit together? 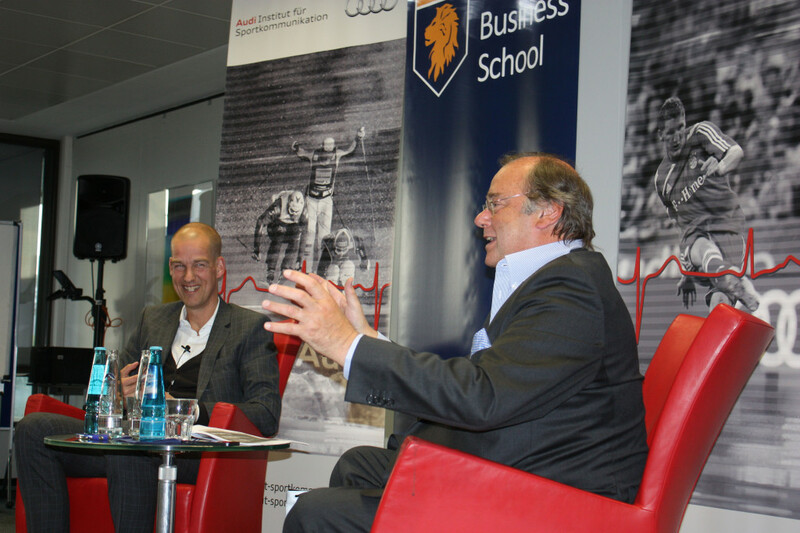 “Strong brand or true love?” was the motto of the 13th Audi Dialog at Munich Business School. 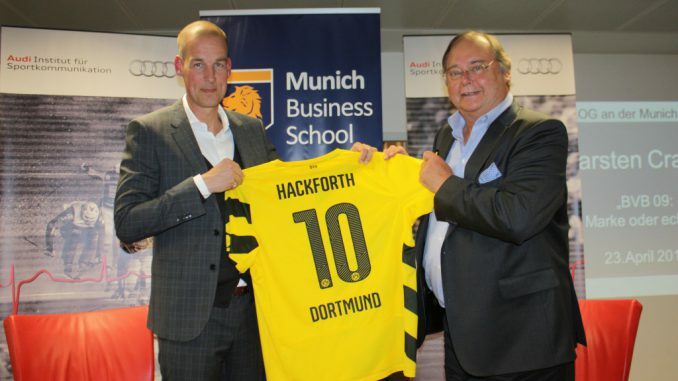 MBS Professor Dr. Dr. h.c. Josef Hackforth had invited Carsten Cramer, Director of Marketing, Sales and Business Development at BVB. Josef Hackforth: Let’s talk about football today, about emotionality, “true love” on the one hand and the rationality to develop a brand on the other hand. Let’s start with the buzzword “Business Development“. 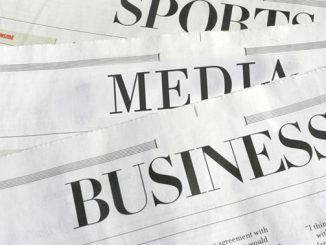 Where do you see new business areas for the BVB? 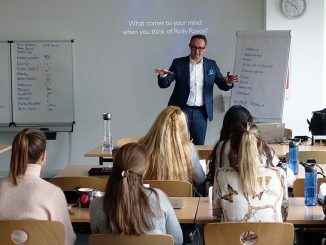 Carsten Cramer: Well, I believe that the big challenge in the field of developing new business domains is an appreciation for the word “no”. We have to ask ourselves: How far can or should we, as a football club, go in opening ourselves up? How far should we remove ourselves from our core business? What are business domains we can move into without losing our credibility? For us, “true love” is not a campaign, it’s not a motto, not a claim – it’s our brand’s promise. As far as new business areas are concerned, we keep asking ourselves: Does that match Borussia Dortmund? On the other hand, we are – on an ongoing basis – confronted with the challenge of generating higher revenues for the Club. Here’s one example: Also under the aspect of our brand’s promise, we agreed that we could not massively increase ticket prices although the incredible demand would have justified a much higher price. But we cannot simply generate more revenues via the instrument of price increases. Instead, we must develop new ideas. And this is the reverse side of business development – to ask ourselves: How far can we go? I am glad to be able to say “no” if necessary. JH: Are there industries where you would say: This is a potential partner or sponsor that would be particularly interesting as a future partner? CC: I think that there are quite a number of market sectors that suit us well. The ideal, typical partner for a football club is a brewery, as many affinity surveys have shown. But also cars, mobile phones or financial services are industries where the consumers of the sector have a very high affinity to football, and vice versa. I actually believe that the scope of industries can be increased almost at random. But there are limits, of course: At one time, we received an inquiry regarding a cooperation from a company that deals in binary warrants, which more or less means betting on stocks and shares. This offers lots of room for growth for the international football, however, this is not something we can demand our fans to accept. Sports bets are different, but who of our fans has an idea of binary warrants? And should we advertise a product with which about 50 percent of our fans will most probably lose a lot of money? No, we reject something like this. CC: Exactly. A specific business area that we moved into a few years ago is the travel business. We are on the market now as a tour operator: You can book a weekend trip to Dortmund, for example, and the trip package contains a ticket to a football game, but also many other services. These are – we believe – the business areas that are in line with Borussia Dortmund. In this manner, we can transport the brand and make money with it – but in a way that’s credible. JH: Can you tell us an example where the extension of BVB as a brand did not work out as planned? CC: We once said that we wanted to become our own technical service providers. And we believed that it would be possible to sell such services to third parties, starting from programming an own website, for example. But that was slightly too much of brand stretching: Which German football club wants to buy technical services from Borussia Dortmund? I, as a representative of BVB, wouldn’t want to buy any services from my colleagues in Gelsenkirchen, and not only because I would perhaps support their economic capacities. JH: True love or strong brand – are these opposites? Should one be careful not to overemphasize the brand and neglect the love? CC: I think that’s quite well balanced in German football. There are, of course, borders that we shouldn’t cross. However, we should be watchful that football will not become too much of a target of business interests. We must press on and keep the game, keep football in the focus. And for this, the true love we often proclaim at Borussia Dortmund gives us an orientation. You must understand our work as the work of a shop window cleaner: We keep the window clean, but we’re not responsible for the product. JH: We keep hearing: The Bundesliga (the German Football League) has long neglected the Asian market. Football fans in Japan or South Korea watch the matches of the Premier League instead. From a marketing manager’s standpoint, is it recommendable to get players from these countries into the Bundesliga to generate more awareness for German football there? CC: Same principle here: Sports defines the orientation. Following that, it’s the task of marketing to stage what is required. Of course I was very happy when we signed up Shinji Kagawa from Japan for the first time. And I was sensationally happy when we got him a second time. But I’m certainly not the one who would approach Sports Director Michael Zorc, telling him: Hey, please get Kagawa! Because this would invalidate what I just said: We are a football club! It must never happen that someone from the marketing department comes up and says: Now, finally get the first Indian player! JH: Let’s go over to the topic of media rights. Many things have happened over the past few months. Let’s think, for example, about the sale of the sports marketing company Infront to Chinese investors for over a billion Euros. CC: Insane, yes. I am convinced that football as content has a priceless value. And if you look at the price that’s being paid for it, broadcasting rights are still relatively inexpensive, compared to Hollywood and the like. Question from the audience: Would you, as Borussia Dortmund prefer to market yourself? Or are you glad that DFL does that, the operating company of the Bundesliga? CC: We make a living from the larger whole and we shouldn’t take ourselves more seriously than we are. We are a part of the Bundesliga and with regard to internationalization it helps us to be a part of the Bundesliga format. On the other hand, we also use the Bundesliga to enhance the format itself. There are some things we do better, but life always is a give and take, after all. In this respect, the central marketing based on the principle of solidarity is impeccable. Question from the audience: As we are talking about internationalization: Where do you see your future tasks in this respect? Where should Borussia Dortmund continue to expand as a brand? CC: We proceed according to the very simple, trivial principles of brand triad, telling ourselves: If you don’t know us you can’t like us. And if you don’t like us you will not become our customer. And because BVB is a brand that is not that well-known – it is not a top brand such as Real, ManUtd or Bayern München –, we have to generate more reach. We have to become better known, we have to happen in the media, so that we fly into people’s homes. This is one reason why we will always play in yellow and black. Some may not know us yet. But yellow and black: There isn’t much competition. If you see a yellow jersey, you will know: This is Borussia Dortmund. Once you have learned who we are, you will then ask yourself: Do I like them or not? If we present ourselves as a charming or interesting club, probability is that you may like us. And if you like us, this again will increase the probability of sales or use. Therefore, our goal is really very simple: Reach, reach and reach! We want to take place. Question from the audience: Recently, information about BVB has leaked into the media which – it seems – had not been planned this way, like, for example, the premature leave of Jürgen Klopp at the end of the season? How do you deal with that? CC: Taking into consideration the relevance of the subject, things like these cannot be avoided. However, we can handle them, and we do not belong to those who believe that we have to completely smooth out and smother any weakness. If you say this is one of the brand’s weak spots, I am all with you. But I don’t see it as weakness. We did react, we were prepared. That day surprised us a bit, true; of course, these were not good news, it was difficult for us. But we are very emotional and we have promised ourselves that this also includes moments of tears. You cannot proclaim “true love” and then completely ignore and shut out love’s negative sides. They are a part of it. Josef Hackforth is one of the most renowned sports scientists and media researchers of Germany. His research focus is on Sports Business and Sports Communication, and his research scrutinizes the effects of sponsoring on sports or the development of the professional profile of a sports journalist. 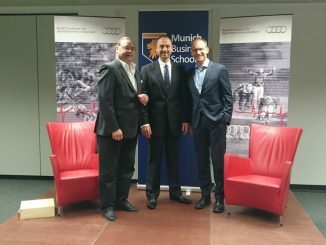 He is the director of the master study program Sports Business & Communication, curator for the Philipp Lahm Foundation, and director of the AUDI Institute for Sports Communication at Munich Business School.